The latest news about Liberty Walk BMW i8 is sure to turn some heads. The automobile business is well aware that the quality bar in the tuning industry was set higher. The reason for that is Liberty Walk. 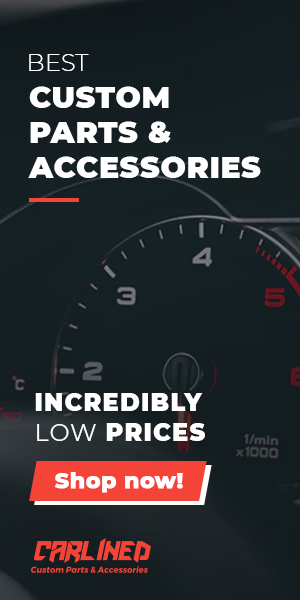 The most exquisite car models produced by such giants as Ferrari, Lamborghini, and Porsche already enjoy the benefits of the exceptional body kits. Now, BMW i8 can have these perks too. However, the BMW admirers should not cheer just yet. The only thing promised so far is an upcoming rendering of a BMW Liberty Walk. The corresponding arrangement with the Prisk Design representatives was established just recently. Rumour has it that the agreement might predict the release of such model in the foreseeable future. 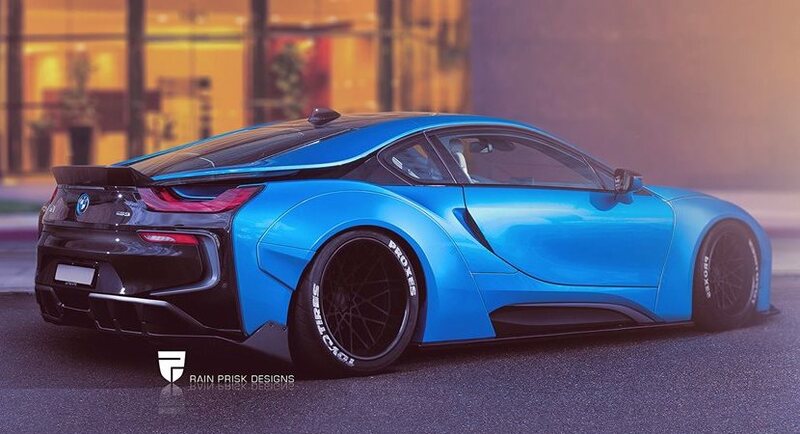 The rendering of BMW i8 Liberty Walk includes such aesthetic adjustments as placing the BMW logo on the rear fender and the new front wings as well as lowering springs or the new aero kit with the remarkable ducktail spoiler. The improved BMW i8 Liberty Walk models can have the BMW logo placed on the rear fender, new front wings, the lowering springs or the aero kit with the remarkable ducktail spoiler. 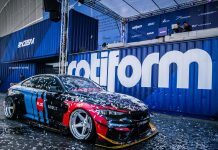 The already announced Audi R8 Liberty Walk and Nissan GTR Liberty Walk manufacturers might be unpleasantly surprised by the upgraded version of BMW i8 Liberty Walk. It is quite natural though that the competitors are worried, but all they can do is to accept this change as a fact. The BMW i8 is the first plug-in hybrid model of the kind that uses a turbocharged three-cylinder TwinPower Turbo petrol engine, reinforced by the eDrive technology-supported electric motor. To show the difference, the 1.5-liter unit alone produces 231 horsepower by all the power being sent to the rear wheels, whereas the electric drive with extra 131 horses transmits the torque to the front wheels. Having said that, BMW i8 boasts with the extra electric-range up to 35 kilometers with the highest speed of 120 km/h. All in all, the Liberty Walk BMW i8 rendering updates seem to be quite a good news for the BMW fans.